It’s easier than ever to work from home, but some jobs lend themselves more easily to a work-from-home situation. Here are six high-paying jobs. Make money working from home with these high-paying jobs. Mobile technology has made it easier than ever to work from home, but not every company will allow employees to work from home all the time and not every job is suitable to full-time telecommuting. IT professionals who rarely need to interact with others in person to do their work successfully. Employees who can do most of their work via email and phone, such as employment recruiters, statisticians, or analysts. "The ability to work from home is a privilege, not a right," Bardaro says. "The best way to prepare yourself for it is to make yourself a star performer in your current role in the office and show the powers that be that you have the ability to succeed in your role with limited supervision." In fact, employees with work-from-home privileges often—though not always—report higher earnings than their in-office counterparts. This is probably because trusted and valued workers are more likely to be able to negotiate a work-from-home situation. "It's very rare to be able to work from home if you're just starting out in your career because people have no idea whether they can trust you to work well without supervision," Bardaro says. "So it's people who've been in their career for a while, have a defined skill set that's super-useful, or have been able to prove themselves and say, 'Hey look, I'm a good worker—I know what I'm doing, I need very limited supervision.'" What you'd do: Working mainly for insurance companies, actuaries analyze statistical data to determine risk and liability. Because they work primarily with data, actuaries can sometimes arrange to work from home. Find all remote actuary jobs on Monster. What you'd do: Business intelligence analysts translate complex data into actionable information for their companies—information that could help organizations decide whether to court (or drop) a specific kind of customer or give them the data they need to streamline their internal operations. Since this is another job that deals with numbers, it can be done from home; although, you might need to put in some occasional face time at the office. View a sample resume for a business analyst. Find all remote business intelligence jobs on Monster. What you'd do: Software developers can go for long stretches of time without having to meet with end users, a situation that makes their jobs ideally suited for work-from-home status. View a sample resume for a software developer. Find all remote software developer jobs on Monster. What you'd do: Compensation analysts use market and internal data to advise their companies on such matters as starting salaries, merit increases, and overall compensation plans. They may also help create job descriptions and run budget reports. Find all remote compensation analyst jobs on Monster. What you'd do: Market research managers help companies determine how much their products are worth, identify potential customers, and help set prices that keep customers happy and the company competitive in the market. Because their work can sometimes be done over the phone or online, market research managers can occasionally arrange work-from-home jobs. Find all remote market research manager jobs on Monster. What you'd do: Like market research managers, PR managers spend a considerable amount of time on the phone, making it easy for them to do their jobs —creating and managing the public image of their clients and companies—from home. View a sample resume for a public relations manager. Find all remote PR manager jobs on Monster. 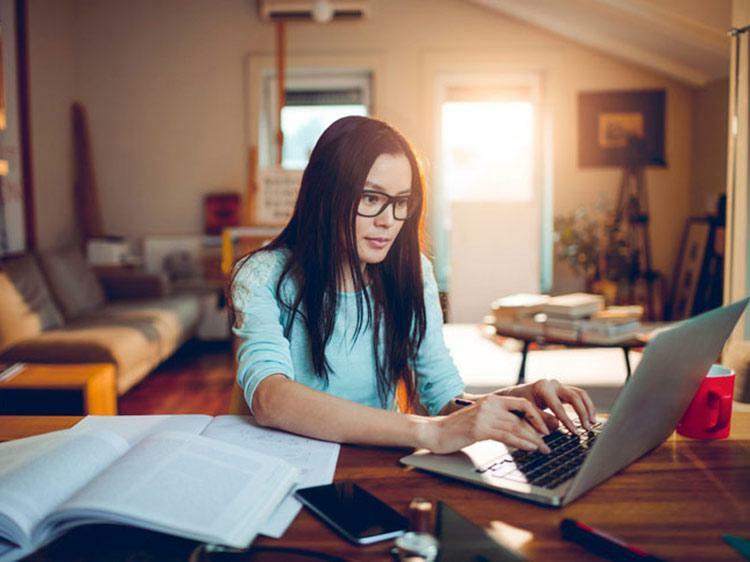 If you've got the skills and training for jobs like the above, you should consider expanding your job search to include work-from-home opportunities. Not sure how to get started? Join Monster today. As a member, you can upload up to five versions of your cover letter and resume—each tailored to different types of jobs that interest you. Recruiters search Monster every day looking to fill top jobs—including work-from-home opportunities—with qualified candidates, just like you. Additionally, you can get remote job alerts sent directly to your inbox so you can apply as soon as positions are available. Whether you're on-site or at home, what's important is that you're applying to the jobs that are the best fit for you at this point in your career. Source: All salary data provided by online salary database PayScale.com. Salaries listed are median, annual salaries based on annual salary or hourly wage and include bonuses, profit sharing, tips, commissions and other forms of cash earnings as applicable. All salaries are for employees with five to eight years of experience who indicated that they have the option to telecommute or work from home.